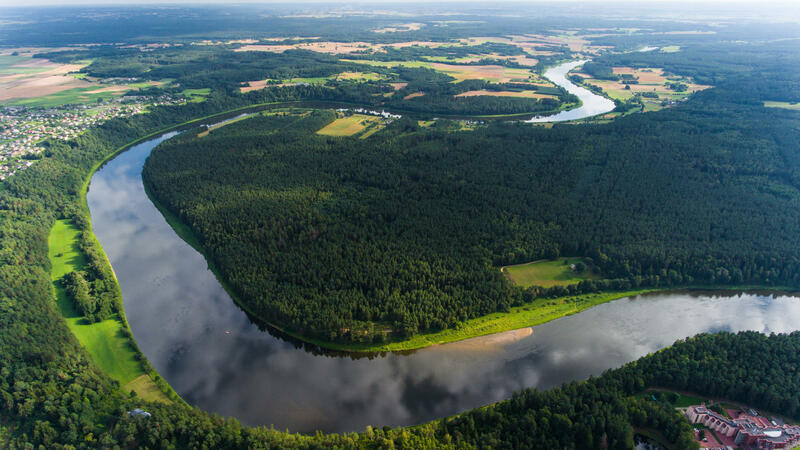 The route is located in Sakiai district and Kaunas city and it takes about 11 hours. ere desire to nurture the traditions of the elders. The women of Suvalkija invite to “The Birth of a Local Cheese” educational program. A few kilometres away, a poppy-seed roll is baked in Tubeliai village. It is in demand due to the sweet poppy filling. It is made up of natural Lithuanian raw materials and rye leaven, which replaces any food additives. A pie baked with a love makes it possible to convey the best taste. In addition to this sweet pie it is offered to taste meals of the wide selection of “Zanavykų Ragaucius” educational program. In the same village, you can find a variety of berries and fruit-produced wines, certified with a national heritage mark. The winegrowers offer to get acquainted with Lithuanian good wine at the educational event “The Wine Wizardry”. After spending one more hour on the road, it is worth to stop for a longer stay in Kaunas. Here, in one place, Lithuanian cuisine is widespread and “Lithuanian Traditional Foods” educational program is being performed. The producer of traditional Lithuanian dishes in Kaunas is proud to have accumulated 43 national heritage dishes in its recipe book, made by the hands of hard-working housewives with love from local raw materials according to authentic recipes and technologies, preserved for more than a century. Certified dishes of this producer in Kaunas are: cold beetroot soup, herring with boletus, sauercrout soup with boletus, Lithuanian beetroot soup with boletus, potato and meat dumplings (didzkukuliai), potato pancakes, potato pudding in sausage skin, mashed peas, buckwheat pancakes, heart-shaped pancakes, – mushroom-shaped cookies, kvass, acorn coffee and tea. Activities: getting acquainted with Lithuanian culinary and cultural characteristics, preparation of dishes and tasting. Duration depends on the chosen dish/dishes. Place: Beržų g. 3, Tūbelių k., Lukšių sen., Šakių r.
Wine is produced for six generations in this family. A couple of hectares of vineries are planted in the village of Tubeliai, where the producers themselves grow vines and select carefully types of vines that are suitable for wine production. The national product certificate is based on the wines produced by them: Cherry wine, Black and Red Currant wine, Apple wine, Black Currant wine, Cherry and Black Currant wine, Apple and Black Chokeberry wine and the traditional craftsman name is given to the manufacturer. Activities: getting acquainted with wine traditions and its types, tasting. The events are being held in Luksiai Cultural Centre - Zypliai Manor House, Tubeliai village, Luksiai eldership, Sakiai district. Poppy-seeds roll. Tubeliai, Sakiai dist. Place: Beržų g. 3, Tubeliai, LT-71184, Šakių r. sav. A flavoured poppy-seeds roll created in the Tubeliai village is certified with a label of delicious culinary heritage. During the post-war period, grandmothers started to bake this product in the same village as they are baking now. The educational program is being held in Lithuanian language. Sweet Cheese. Pruseliai, Sakiai dist. Place: Miško g. 3, Prūselių k., LT-71101, Šakių r.
Cheese recipes have been passed from generation to generation. Although the variety of recipes is not high, but it is said that cheese produced in every yard has its own taste. It is because every housewife has her own secrets of preparation. Cheese producers in Pruseliai village appreciate the real domestic dairy products and sincerely try to preserve the Lithuanian cheese. Activities: getting acquainted with Sakiai region traditions, cheese types, cooking, tasting. Duration of the program is 2 hours approx. Route length: 68 km Duration: 9 h.